"Jesus and the Problem with Religion"
Christianity is the biggest religion in the world. Jesus wasn't a fan of religion. 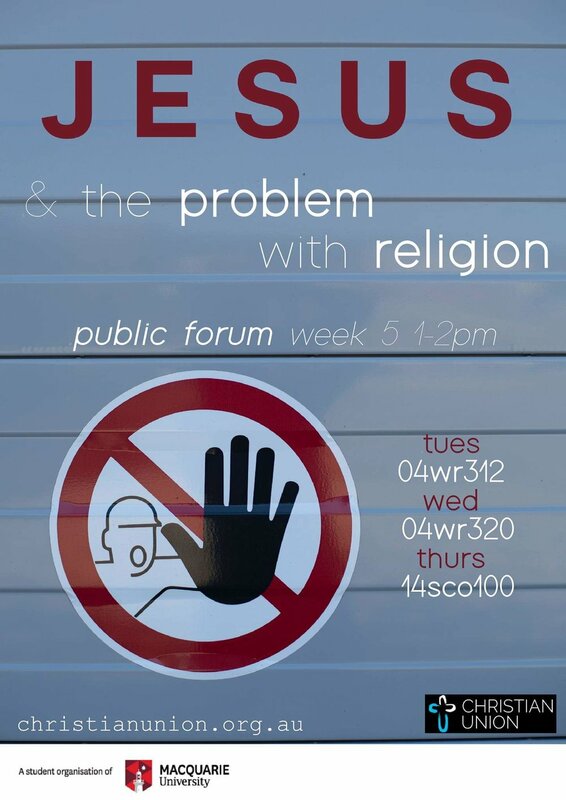 Come along to Public Forum this week to discuss the problem with religion, according to the founder of the biggest religion in the world!